(CNN) - The gunman in Monday's fatal shooting spree at an Orlando, Florida, business targeted his victims and had a "negative relationship" with at least one of them, according to law enforcement. 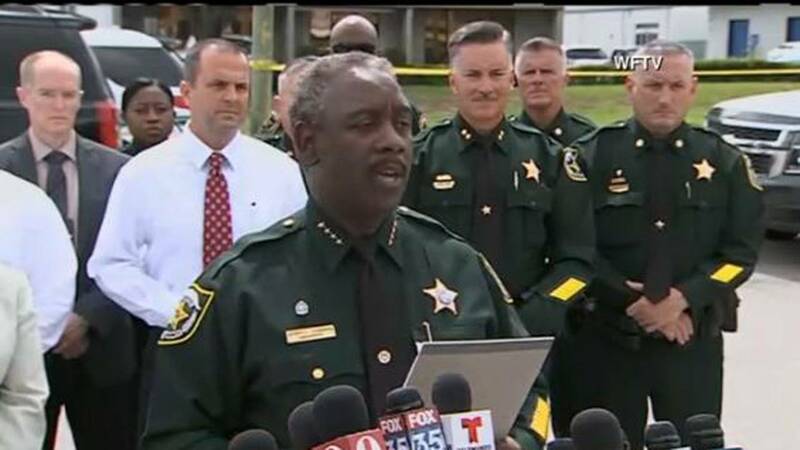 Army veteran John Robert Neumann, Jr. killed five employees of Fiamma Inc. before killing himself, Orange County Sheriff Jerry Demings said. The company makes accessories for recreational vehicles. Neumann was fired from there in April. He walked into the business Monday morning and pointed his gun at a new, temporary employee and told her to leave, Demings said. "He was certainly singling out the individuals he shot," Demings told reporters Monday afternoon. The victims have been identified as Robert Snyder, 69; Brenda Montanez-Crespo, 44; Kevin Clark, 53; Kevin Lawson, 46; and Jeffrey Roberts, 57. Clark was a widower and a single father raising a 17-year-old son and a 14-year-old daughter since his wife died six years ago, according to CNN affiliate WKMG. He started working at Fiamma in January as the logistics manager of sales, his brother Chris Clark told WKMG. His nephew called him to let him know that his brother had been shot at work and brought to the hospital, where he died. Lawson was a married father of four daughters who had two granddaughters, according to WKMG. He had been working at Fiamma since 2014 in shipping and receiving, according to his Facebook page. Snyder was one year away from retirement, his neighbor told WKMG. Tiffany Almany said he often went into work early and came home late. Roberts was a sales manager at Fiamma who started in January, according to his LinkedIn account. No information was immediately available about Montanez-Crespo. Police described Neumann as a disgruntled former employee acting alone with no ties to terror or subversive groups. It did not appear he had a concealed weapons permit for the semi-automatic pistol used in the shooting. Neumann lived alone and had no family in the area, Demings said. He was an Army veteran who was honorably discharged in 1999. Police had responded to a battery complaint against Neumann at Fiamma in 2014. The victim of that incident was not among the dead Monday, Demings said. He also had arrests for DUI and marijuana possession. Fiamma issued a statement Tuesday, saying the company "is heartbroken" by the "unspeakable attack." "In these dark hours we ask for thoughts and prayers for all the victims of this tragedy and their families," the statement said. Police responded to the call around 8 a.m. in an industrial area northeast of downtown. Four victims were found dead at the scene, Demings said. Clark died at Orlando Regional Medical Center. "Most of the victims were shot in the head," Demings said. "Some were shot multiple times." Eight other people were inside the business when the shootings took place, he said. Shelley Adams said she was on the phone with her sister, a Fiamma employee, during the incident. Her sister was in the restroom when she heard a noise, Adams told reporters. Almost a year ago, Orlando was the site of the nation's worst terror attack since 9/11. On June 12, 2016, a gunman killed 49 people at the Pulse nightclub. "Over the past year, the Orlando community has been challenged like never before," Florida Gov. Rick Scott said in a statement Monday. "I will remain in contact with the Orlando law enforcement community throughout the day as more information is made available," Scott said.